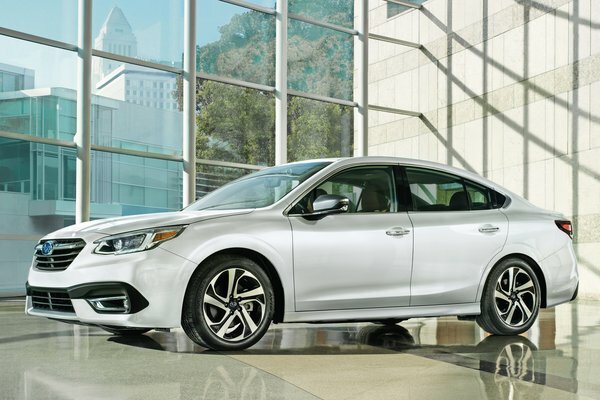 Subaru of America today introduced the all-new seventh-generation 2020 Legacy sedan - the most advanced Legacy in the model's 30-year history. With standard Subaru Symmetrical All-Wheel Drive and EyeSight(R) Driver Assist Technology as well as available tablet-style high-definition 11.6-inch SUBARU STARLINK(TM) multimedia screen, DriverFocus(TM) Distraction Mitigation System and new XT models with 260 horsepower, the 2020 Legacy offers greater technology, performance, safety and refinement than ever before. Built on the Subaru Global Platform, which offers increased...Read.